AVAILABLE IN STOCK IN PORT HARCOURT. 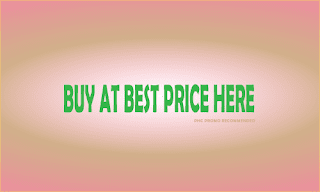 WE ARE THE SARDINE BRAND REPRESENTATIVE IN NIGERIA AND SELL ONLY ORIGINAL FACTORY DIRECT SARDINE BRAND PRODUCTS. WE ARE ABLE TO GIVE YOU UNPARALLELED SUPPORT. 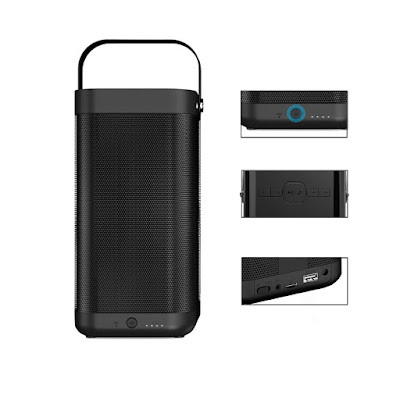 This IP65 IP67 certified Bluetooth speaker is one of the latest from the Sardine brand and is unarguably among the best waterproof Bluetooth speakers on the market. 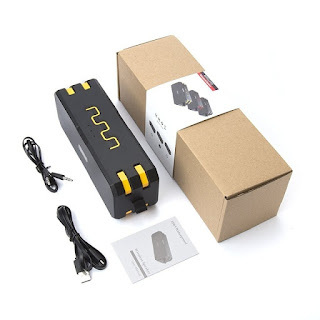 It has a rugged construction, a fine aesthetic appeal to it, it is very portable, light weight, outstanding battery life and most importantly, the sound is great. After all, it is a speaker and the first thing we need from a speaker is excellent sound before anything else. With a 12watt combined audio power and 5,200mah battery, this speaker will never let you walk alone! Whether you are on the beach, at a pool party, on the rocks, or mountain climbing, take the party wherever you are! Protected from low pressure water jets from any direction. Protected from high pressure water jets from any direction. Protected from immersion between 15 centimeters and 1 meter in depth. Protected from long term immersion up to a specified pressure. My personal copy of the sardine F4 outdoor Bluetooth speaker was left outside under a very heavy downpour and it withstood the water pressure till I came to pick it up. So first hand, I have experienced the power of this speaker. The Sardine F4 wireless waterproof Bluetooth speaker is without doubt a beauty to behold and its performance is top notch too. 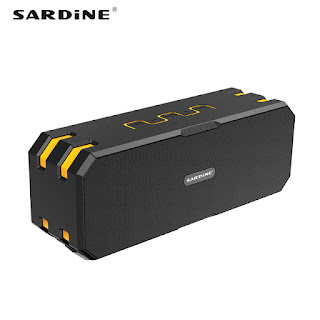 If you need a waterproof Bluetooth speaker, I will seriously ask you to consider this masterpiece from the Sardine brand. 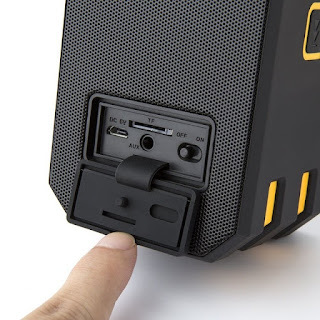 However, the only downsides for this waterproof Bluetooth speaker are the fact that there is no FM radio no a USB port for you to connect your flash drives. At this point in time, we want speakers to have FM radio functionality with a display. That will be the only downside for this outdoor Bluetooth boombox.